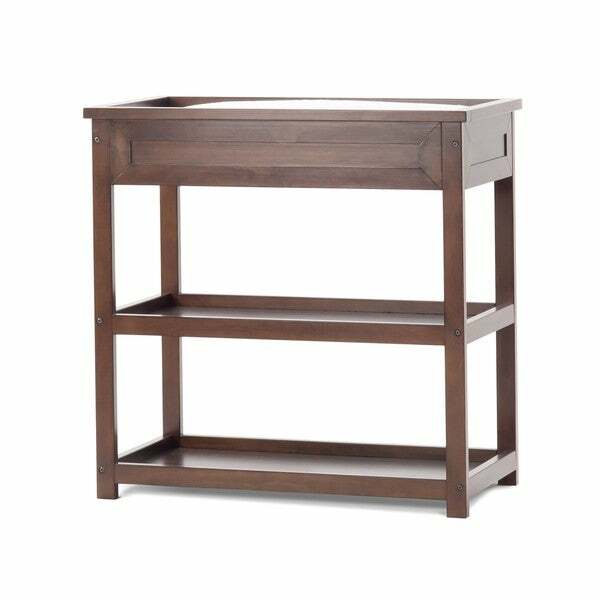 Lend functional appeal to your child's room with the Child Craft Abbot dressing table. This table is fitted with a security strap and buckle to keep your child safe while you change his diaper or clothes. 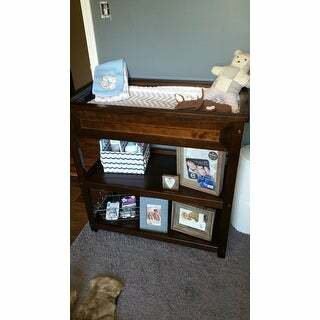 I love my changing table!fits in perfectly with my rustic nursery. Grest item for the price and easy to put together. This 6 month pregnant girl got it together in 10minutes. "Size of the included changing pad, please? And what size changing pad covers would I need?" "Is this solid wood or particle wood / composite wood? If solid, what kind of wood?" This table is made of pine wood with melamine shelves.